The London Olympics are nearly here! 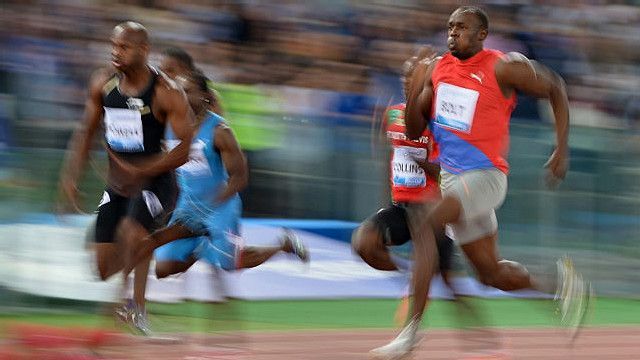 In this final episode we hear again from the fastest man in the world, Usain Bolt. Usain is from Jamaica and holds the world record for the 100m, with a time of 9.58 seconds. At the last Olympics in Beijing, Usain won three gold medals. Join Natalie in this week's video from the London Olympic stadium and learn the phrase 'looking forward to'.